HEC Paris library gives you access to the full text of all Harvard Business Review issues from the Ebsco Business Source Complete database (no access subscribed from the Harvard website). 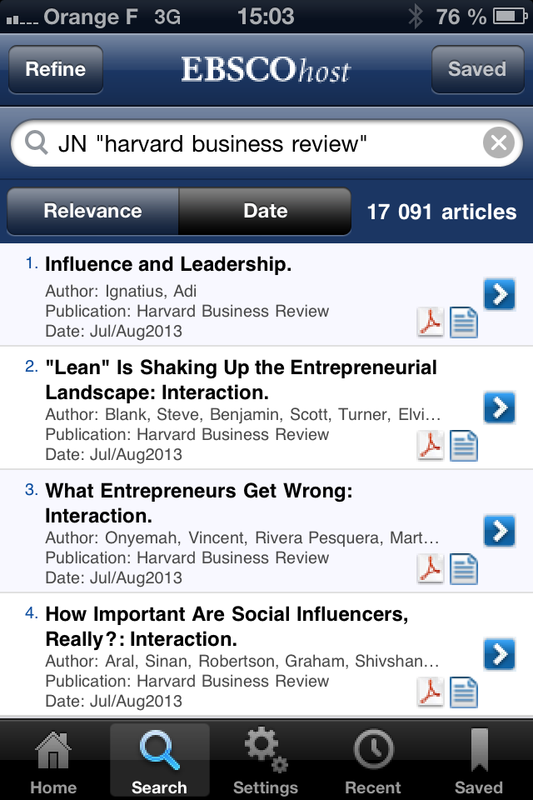 You can easily set up a mobile quick access to the latest articles using the Ebsco host app. You will only need to authenticate using your HEC Paris email address and a nine months access will be instantly granted to you. 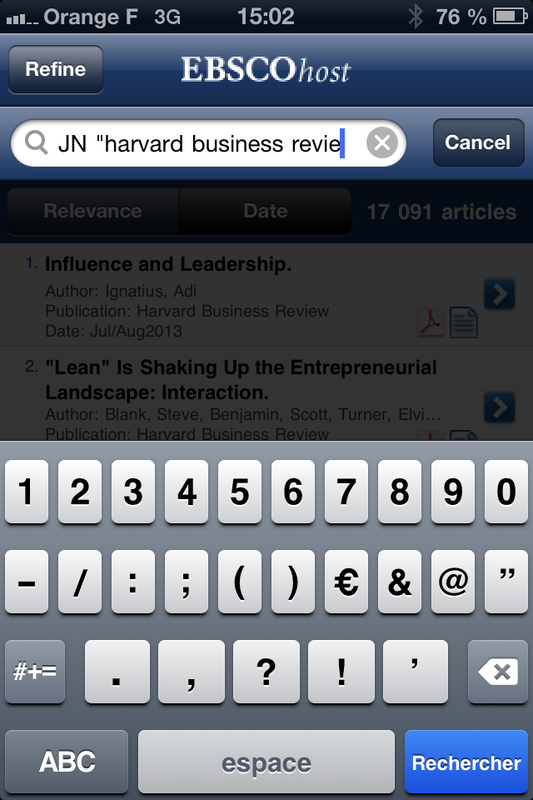 – Access the email Ebsco sent you on your smartphone and click on the “authentication link”. It will automatically open the app and give you access. And in case of any difficulty, get in touch with us… We will be happy to help! How to set up your Financial Times access? The Library provides to HEC Paris students access to the Financial Times online, including full text content produced for the past 8 years, and today’s edition. New users must already create their personnal account and enter their email adress with @hec.edu or @hec.fr. Did you know that you can also set up a mobile access on your iPhone, iPad or any Android smartphone? How to link Google Scholar to the library ressources? Here is a quick video on how to link Google Scholar with the HEC Paris library’s subscribed ressources. BYou just have to make sure you are connected to your google account.